Regular visitors to Anime UK News will know that I’m a big fan of the Orange manga. I first stumbled across the manga thanks to Crunchyroll on a whim and a desire for a new romance story. As a result I fell in love with the series and now happily house the two omnibus volumes on my shelves. When an anime adaptation aired during the 2016 summer season I was the first in line to sample it. As a general note this review does contain some spoilers, but I have tried to keep these to a minimum. 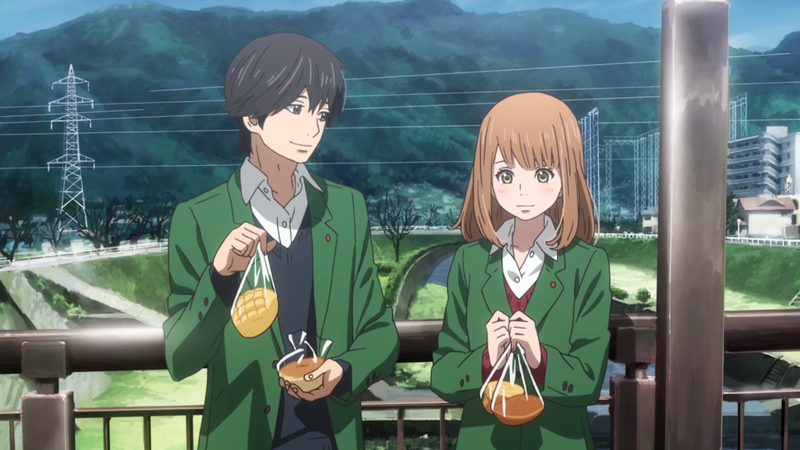 Orange tells the story of Naho Takamiya and Kakeru Naruse, and a love that transcends time. On a seemingly ordinary day, Naho receives a mysterious letter in the mail that’s supposedly been sent from her future self. This letter informs her that a new student named Kakeru Naruse will be joining her class and that Naho’s future self has a huge favour to ask: that Naho uses the letter as a guide so not to repeat her future self’s past mistakes, and to keep a close eye on Kakeru. One immediate request the letter puts forth is that Naho and her friends must not invite Kakeru out after school on that first day. Naho disregards its contents to begin with – I mean, how could a letter, let alone anything, be sent from the future? However, while Naho’s friends (Hiroto Suwa, Takako Chino, Saku Hagita and Azusa Murasaka) go ahead and invite Kakeru, it’s not until later that Naho learns the letter was correct all along and inviting Kakeru out led to something terrible happening. It was on that day that Kakeru’s mother committed suicide. After that day, Kakeru doesn’t attend school for a couple of weeks and other things stated in the letter begin to happen. As Naho reads through the notes she sees that future Naho is asking her past self to ‘save Kakeru’, who is no longer with Naho and her friends in the future. The plot sounds a lot more complex than it actually is; it’s just difficult to explain. We flip between our cast in the past and the future (which is 10 years after Kakeru’s death) fairly frequently to show that Naho and her friends in the future have deep regrets about not saving Kakeru. They only realised after he died how depressed he was and the signs they missed, which leads them to decide to write the letters and attempt to prevent Kakeru’s death. The explanation for how the letters travel back to the past is interesting, and makes some level of sense, but you’ll still probably want to shut your brain off concerning it. Orange’s explanation involves the characters of the future tracking down a black hole in the ocean in order to deliver the letters to the past. How they find the black hole, and how the letters actually reach their past selves, is never clearly explained. This might all sound crazy and off-putting but I think it doesn’t matter. After all, the time travel may play an important role for getting the letters to Naho but it’s not what’s most important. What Orange is really trying to do is tell a story about living with depression and being friends with someone who suffers from it, which is something that the show does wonderfully. 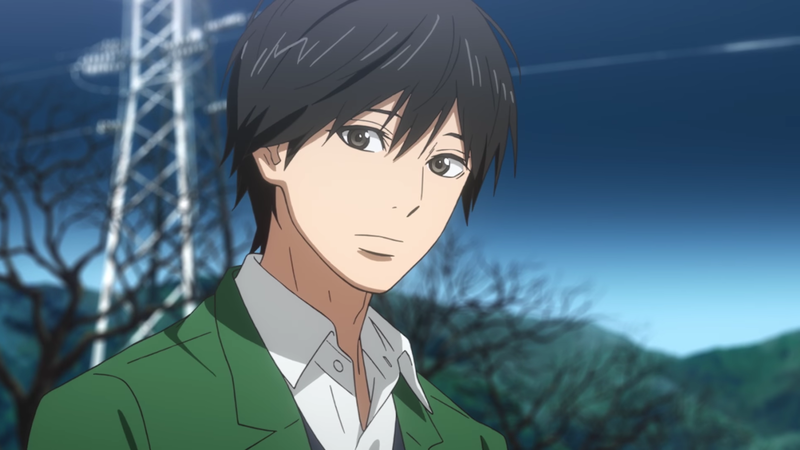 Kakeru’s behaviour is true to the way someone with depression might act, and so are the symptoms he shows in the way he reacts towards Naho and Suwa (the two characters that Kakeru becomes closest to). Kakeru wishes to always put up a happy front and not show anyone his pain because he believes they’d just laugh or not want to spend time with him anymore. It feels satisfyingly real and easy to understand while also drawing you into the story. Although Orange is labelled as a shojo series, it doesn’t feel like one in the traditional sense. 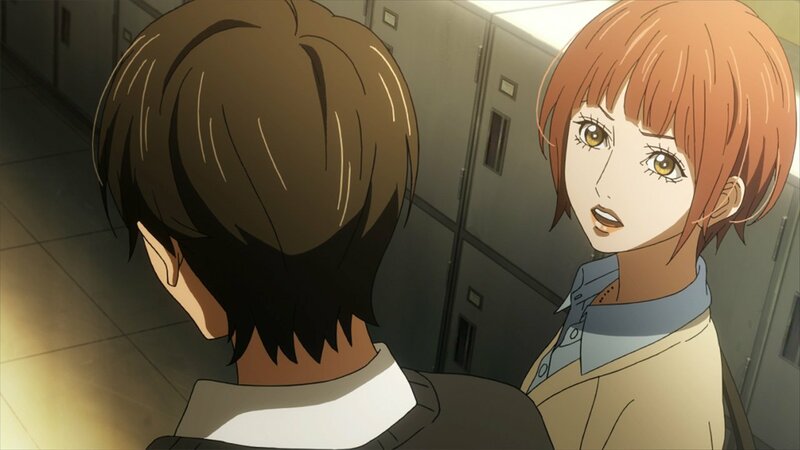 The classic shojo elements are present in that Naho and Kakeru have romantic feelings for one another, but Orange is sensible enough not to push those aspects in favour of the real crux of the story: saving Kakeru. Naho is shy and struggles to fulfill every request that the letters ask her to do but with the support of her friends she accomplishes a lot. 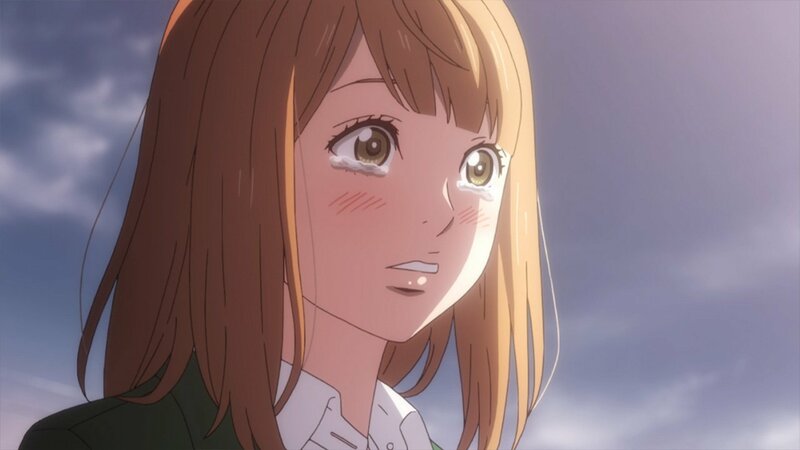 Suwa has a strong bond with Naho and wants to do what’s right by her, and in the future deeply regrets not noticing how depressed Kakeru was. The series focuses on Suwa, Naho and Kakeru the most and sadly generally pushes Chino, Hagita and Azusa aside in favour of their development, especially early on. However, thankfully, they do get more focus during the latter half of the story, so even if you feel that they aren’t that interesting to begin with, I can confidently say that things do improve. As much as I love this story, I do think the anime has some issues. Most of them are down to the animation (more on this below), but I also think that the characters don’t feel as real as they do in the manga. They’re not handled terribly by any means but my best example lies with Naho, who just comes across as more dim and clumsy than in the manga. It seems as if every time she makes a bad move, the show lingers on it for far too long. In the manga Naho’s very cute and, yes, she’s shy and makes mistakes by not always following the letter’s advice, but perhaps because we’re flicking through a book so much faster than watching an episode of the anime, it just flows much better. The remaining problems that I have with the anime rest with TMS Entertainment, the animation studio that handled the adaptation. They’ve done some really nice work for the backgrounds, which all look stunning and very lifelike, but this design choice leaves the character designs (which are very colourful and quite “anime” versus realistic) feeling out of place against the backdrops. It’s not just the art style conflicts that are an issue, though. There are also fairly major consistency issues with the cast either looking quite off-model, from shot to shot, or lacking facial features when at a distance. It isn’t even a case of this only happening in one or two episodes, it’s a problem that plagues the whole show. I was pulled out of the story fairly often just to wonder what had happened to Naho’s face! 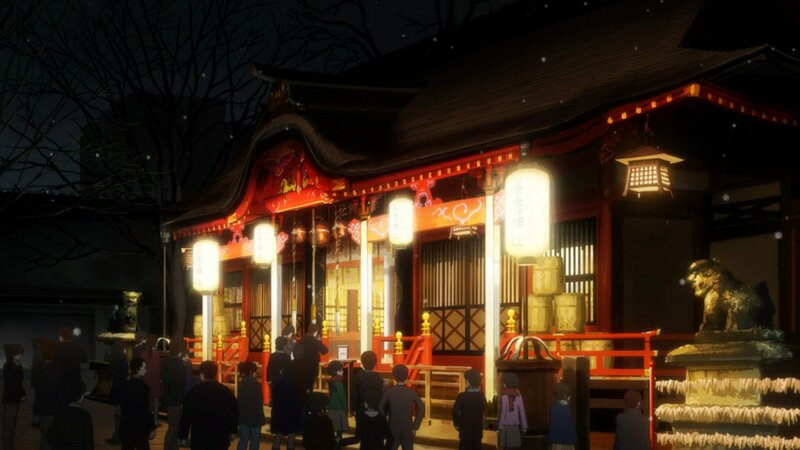 The studio also added in some random montages from episode to episode of everyday school life and the kids having fun together, which didn’t exist in the original manga and felt horribly out of place. Orange’s music was provided by Hiroaki Tsutsumi and fares a lot better than the animation. Tsutsumi has previously worked on the music for Blue Spring Ride, Meganebu!, and Kuromukuro and seems to have a good grasp on the kind of tone Orange was looking for. It’s a soundtrack full of emotional piano tracks but also some very pop-y acoustic guitar-inspired scores that fit what a series like this really needs. Overall I have no complaints with the music, although it’s worth noting that the mixing on Crunchyroll was a bit out of whack and music was usually louder than the characters’ dialogue. Where voice actors are concerned we have a pretty good group that gave solid performances, but the best in the series are definitely Naho and Kakeru. Naho is voiced by Kana Hanazawa (Zera in Fairy Tail Zero, Anri Sonohara in Durarara! !, Rize Kamishiro in Tokyo Ghoul) and is definitely the best of the lot, giving Naho some excellent emotion – especially during her exchanges with Kakeru. Speaking of Kakeru, he’s played by Seiichiro Yamashita (Nakagawa in Golden Time, Eita Kursunoki in Seraph of the End) who also gives a very emotionally driven performance that suits the character exceptionally well. 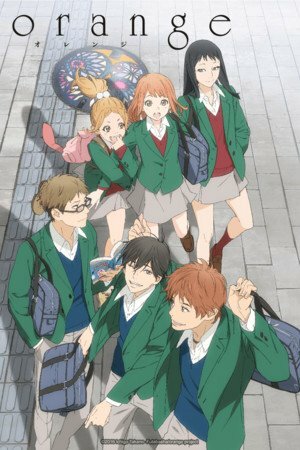 Overall Orange’s anime leaves me feeling a little unsatisfied. Due to the way the animation has been handled, and other mild niggles, I feel as if the best thing I can do is recommend that fans read the manga, which is so much better than the anime adaption was. The TV series isn’t a bad way to get into the series but I fear that would definitely leave you a little cold at the end and that’s just not how Orange should be.